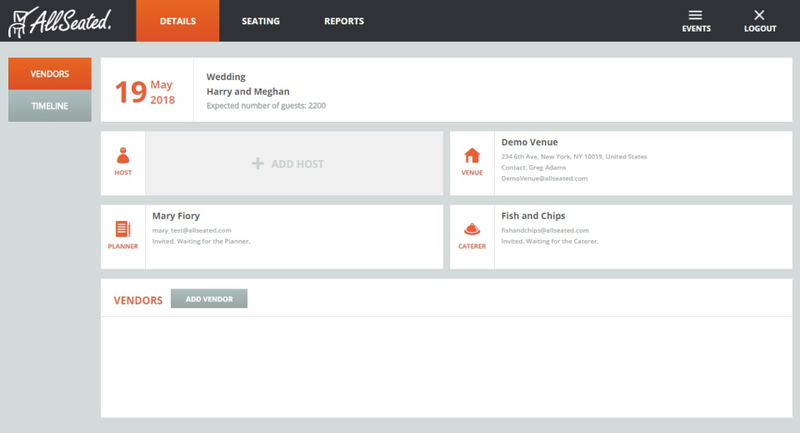 Our services benefits venue owners, event planners and every person who wishes to upgrade their pen-and-paper event planning to a digital, accessible and easy-to-manage platform. AllSeated is world's most innovative event planning platform where venues, clients, and vendors collaborate to create memorable events. Increase ROI and provide efficiency with digital tools and virtual reality capabilities. 360 RealPlans-3D provides vivid visualization through floorplans to-scale customized to reflect every aspect of your space. 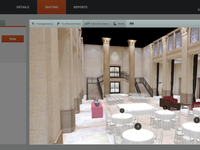 Offer clients guest lists, seating, virtual walk-throughs and timeline tools while collaborating with vendors, eliminating need for on-site meetings. 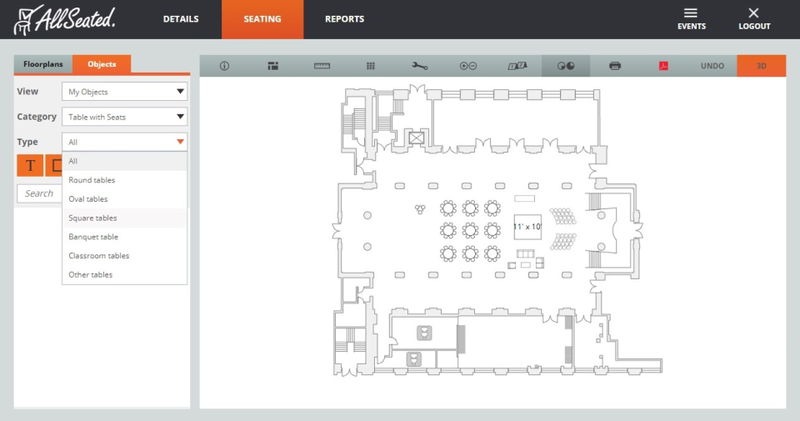 AllSeated has transformed how we use floor plans with our customers and colleagues. Pros: We love being able to share and collaborate with the vendor team and clients on one easy working floor plan document. Having a working document in the cloud that clients can get in and make changes to opens up a whole new world of possibilities. The professional layout and tools available make us all look good, too. Cons: There isn't really anything that I DON'T like about AllSeated! Updates are always fun, and I love the new virtual reality features. If we ever run into a question, the customer service representatives are always fantastic and can walk my team members through things easily and quickly. AllSeated is an invaluable resource that helps me do my job better. Pros: Hard to narrow it down to just one thing I like most. It creates floor plans to scale so we can accurately plan intricate events without hesitation of last minute spacing issues. It's user friendly and easy to navigate. The fact that I can invite my clients and whole event team into it gives me peace of mind that everyone will be on the same page and nothing will fall through the cracks. It's a resource that adds value to my own service and makes me look like a rockstar to my partners and clients. Cons: It's pretty intuitive to what I need (probably because they always take user feedback to heart) so it's hard to say what I like least, and although not directly about the software, I would say the fact that there are still a few venues out there that don't use it! All venues should be utilizing this software asap. Overall: It's a resource I can use and offer my clients for the digital floor plans but also to keep track of guests lists, which tends to be a significant pain point for them. It gives me accurate diagrams and lets me paint an exact picture of what we have planned so that all details are accounted for before we get to the point of production and execution. All Seated is the best software on the market! Amazing technology and user friendly! Pros: All Seated is by far the best program on the market. This technology allows users and their vendors to design floor flans, organize guest lists and a multitude of other user friendly features. I recommend this program highly for anyone planning a special event. A must see!!!! Cons: There are no cons with this program. You must check it out ASAP! I've been using it since its inception. AllSeated is the best Floorplan App! Pros: The User Interface is ideal. It's a perfect combination of usefulness and simplicity. The functions are great. The renderings of the rooms are perfect. The ability to select a room or location are great. This is a wonderful application for floorplans. Cons: I've tried very hard to think of any complaints to have about this application, but I have nothing negative to say. 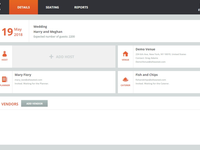 Overall: Allseated allows me to create floorplans for my customers. They love the results, and it is as much a pleasure to create them as can be hoped for. AllSeated's software is so easy to use and is accurate down to the inch. Pros: From the moment I was working with this software, it was user friendly. The more I work with it, the easier it gets. 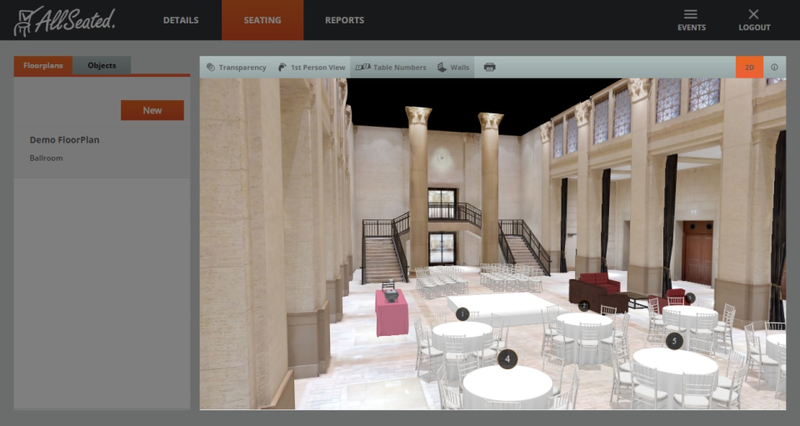 The best part of this is that it is an amazing tool for showing our client's exactly how it will look and feel in the space with its amazing 3D technology! Cons: Since it is new, the designer inventory is smaller than I would like. The good news is ALL the basic equipment is in there, and if there is special pieces, you can always have them rendered for your private inventory pictures. Overall: This is making our design team more efficients, more productive and is giving quality images to our clients for visualization! Sandy and her team are the best in the industry!!! Pros: AllSeated is very simple and easy to use. Their design is pretty modern and elegant and some features are appreciated for both the event planners and the customers. You can easily invite your customer to plug in their guests list and RSVP and still manage the diagram. Pros: All Seated is a pioneer with event layouts. It makes even design tremendously easy and efficient. It's wide library of resources keeps the process not only creative but also realistic. Now with more table to design options, it has gotten even better! Cons: None- this is truly a great program that has been well thought out. Overall: Great experience. Our whole team loves it! 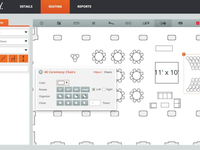 Pros: This software offered floor plan layouts with multiple sizes and shapes of tables, and was super easy to swap out chairs to customize tables for various amounts of guests. It also offered an easy way to track guest invitations and place them at tables. Cons: Overall I had no negative issues with using this software. For popular venues they had the floor plans already designed but in my case I had to take measurements and create myself. Overall: The thing that I really liked about AllSeated was they offered training seminars on how to use their software. They were very good about providing answers to my questions and also gave me links to YouTube videos so that I could learn more about how to use the software at my own pace. Hands down best app/software for event industry! Pros: The intuitive features that are as practical as they are ingenious to create a seamless event management experience for a venue, planner or vendor of any type in the industry - there simply isn't a better product to be found - they are a leader in the field. Cons: Cant think of anything negative to say - everytime I had a suggestion or inquiry on how to make 'something better' - they implemented it expediently and without fail. Overall: Makes me look like a rock star to every client that I work with as I can create layouts before their eyes and include them in the event setup experience and collaborate easily with all partner vendors. Pros: User friendly, intuitive, brilliant platform that has made our job so much easier! Best customer service! Cons: Honestly there are none! They are constantly innovating and introducing new and improved ways to improve the user experience. This product is perfect for our needs. all of our staff love having it available. Pros: it is user friendly and applies to just about all of our projects. a real time saver and clients love it too. Cons: i had to take the time to learn how to use it. our employees picked it up very quickly, took me a little longer. Overall: is a huge time saver and is very user friendly and the support is great. this company is a winner! Pros: AllSeated has been an amazing tool for our production company. We have saved hrs of time and show professional diagram to scale and we just love the 3D tool. We are excited about the 360 and VR that is coming! The company is great to work with . Cons: I can say that I really don't have any negative things to say at all, and it would be a stretch to write any down. YES, YES, YES! 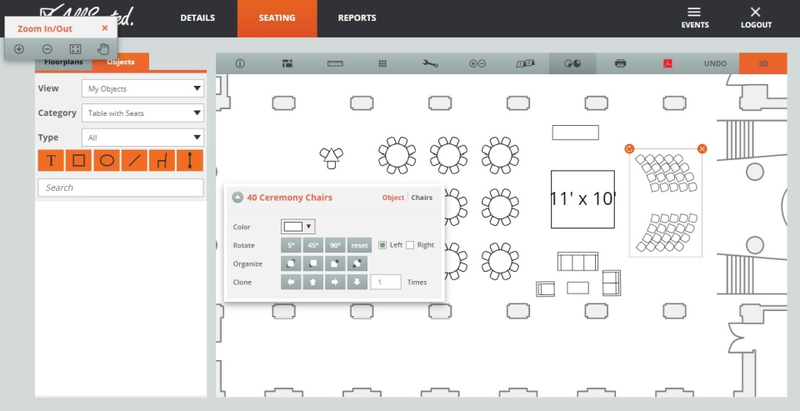 Best software for event planning! Pros: I stumbled upon this site when looking for software to set up a room for a lecture. Little did we know, our organizations buildings were all ready in there! This was awesome! 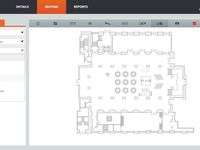 I have been using this software when designing rooms for talks, parties and more. 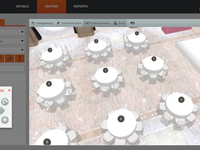 It allows you to plan the event, set up the room with various tables and chairs that are to dimension and more! This is by fare the easiest and best software I have found for what I need. Cons: There really is not con. This software is free up fronts, so what is there to say that is negative! It is just an AWESOME software! Overall: I love it! In fact others in the office now use it as well. 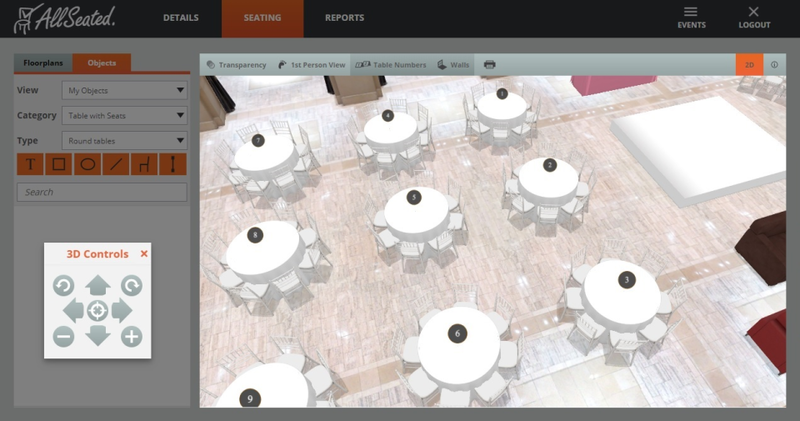 Pros: I love how easy this is to use and how it really brings events to life for clients to see the space fully designed. Great tool for upselling and getting early buy-in from clients. Overall: I haven't yet found any cons to this program - it's almost too easy to use! It's very intuitive and functional. Pros: AllSeated has officially changed the way I look at events- I'll never go back to the way things were. The cutting edge technology instantly upgrades the client experience, and in a market where referrals rule, this is essential. The learning curve is minimal and it's extremely user friendly. In this saturated industry, it's been a great way to stand out from competitors as well. Cons: I can't think of a thing- honestly, if I ever run into any issues, the customer service team is always at the ready to assist. Great for event planning on a budget! Pros: Offers a limited number of floor plans and uses without a fee - great for private event planning. Cons: When the program opened for new users, it was free and ad based. I enjoyed this version and entertained making the switch until they released pricing. Overall: Enjoyed using it and will recommend it to clients.